Santa does not like eDiscovery!! Pursuant to Google Trends “eDiscovery” seems to be the most acceptable and used term when discussing (or searching) Electronic Discovery related topics (Google Trends). The trend has evolved overtime as “Electronic Discovery” & “E-Discovery” were respectfully competing for supremacy in 2010, but have experienced a steady decline since. The most shocking discovery is that interest in eDiscovery does not seem to be growing. Could it be that the same niche group is behind these numbers every year? The lack of interest does not necessarily reflect the increase in eDiscovery related costs and cases as seen below. I am not implying that those within the industry have made a concerted effort to maintain exclusive rights over eDiscovery to potentially reap the financial benefits of having a unique skill set, but rather that our approach to eDiscovery may has alienated outsiders. Lastly, why is it that no one wants to discuss eDiscovery in December? Apparently the jolly Christmas spirit does not translate over to increased interest in all things eDiscovery. *I do understand that other search engines exist and users may utilize other search terms as well. This post is not meant to be a scientific study. 1. Adherence to Record Retention policy: it’s important to assign personal within the organization, who implements the policy properly working in conjunction with the legal and IT staff. If not executed properly, courts may propose sanctions using your own policy as a guidepost. 2. Training: Adherence to policy requires a well-trained staff, which includes all employees who handle potentially relevant data. Trickle-down knowledge can simplify the process by adequately training the person in charge, and allowing them to implement educational seminar for other employees. 3. Backup tapes or archived data strategy: Balance must be struck between data on server and the triggering time frame to archive data. Once archived courts are less likely to require production, however if data is determined to be absolutely relevant to the underlying issue, then you may be compelled to incur cost for production. 4. Court’s across the country have consistently cited some form of Zubulake v. UBS Warburg LLC, 216 F.R.D. 280, 284 (S.D.N.Y. 2003) “Seven Factor Test.” as a cost-shifting analysis and now we may further rely upon the 2015 Amendments for guidance. 5. Cost reduction through organization: organizing documents per subject matter, contract, client, time frame, type of documents and any other measure as prescribed by each particular industry or business can reduce your overall cost of production. Special consideration must be given to all communication between attorney and client. 6. Meta Data Preservation: A business must continue with day-to-day functions regardless of litigation. Legal hold can create a conflicting dilemma within an organization to preserve data and especially the metadata. Metadata is “data within data” meaning the information about when a file is created, stored, modified etc. Upon notice of a legal hold, documents that are later modified by custodian within an organization can raise concern for the opposing counsel. Potentially important information may have been removed and deleted – this can result in sanctions or hiring of forensic experts to extract former version of the document. 7. Format: The importance of format must be discussed with your IT and legal department. Storing documents such as emails in PST format or retaining documents in native format can reduce overall size and cost of reviewing for your counsel. This is not meant to be a comprehensive list of all potential considerations, rather this list only touches the surface. For further discussion or questions regarding record retention policies, feel free to contact me directly. * This post discusses and repeats major points from the last post. However, it also includes discussion regarding how these amendments impact corporations and businesses. KEY POINT: The codification of proportionality standards should be noticed and immediately implemented within corporate record retention policies in a collaborative effort by corporate information technology (IT) and legal departments. Those willing to take proactive measures in adopting suitable document retention policies can dramatically reduce their respective employer’s litigation cost and exposure to potential liability. As of December 1, 2015, Federal Rules of Civil Procedure (“FCRP”) were amended primarily in response to challenges surrounding Electronic Discovery (“eDiscovery”). The amendments can benefit corporations who are willing to be proactive in adopting record retention policies to reduce litigation cost and exposure moving forward. The amendment to Rule 1 emphasizes the collective goals of the FRCP by stating that the rules “should be construed, administered, and employed by the court and the parties to secure the just, speedy, and inexpensive determination of every action and proceeding.” (Emphasis added) Although, the amendment does not prescribe additional sanctions or specific methods to accomplish these goals, it does serve as a reminder to litigators and corporate counsels that cooperation and compliance with these rules is highly recommended and discourages misuse and abuse of procedural tools to increase burden and cost. Corporations need to monitor and assure their outside counsel’s employ these standards and are working diligently to reach a “just, speedy, and inexpensive” determination of any legal proceeding. The amendment to Rule 16 specifically addresses eDiscovery by providing that “[t]he scheduling order may provide for disclosure, discovery, or preservation of electronically stored information…” Furthermore, the rule also reduced the time for issuing a scheduling order from 90 to 60 days in furtherance of the overall theme of these amendments to secure a just and speedy trial. The judge still maintains complete discretion to extend the time in issuing a scheduling order if in good faith determined that the complexity of the matter requires additional time. Nonetheless, corporations need to identify and execute legal holds timely and adequately to ensure all relevant data is being preserved. The amendment to Rule 26(b)(1) codifies the heavily litigated cost/benefit analysis relative to the scope of discovery. It also eliminates the previously adopted vague and ambiguous language by providing for a more concrete analysis in determining the scope of discovery. The amendment in relevant part states that, “[p]arties may obtain discovery regarding any nonprivileged matter that is relevant to any party’s claim or defense and proportional to the needs of the case, considering the importance of the issue at stake in the action, the amount in controversy, the parties’ relative access to relevant information, the parties’ resources, the importance of the discovery in resolving the issues, and whether the burden or expense of the proposed discovery outweighs its likely benefit. Information within its scope of discovery needs not be admissible in evidence to be discoverable.” The codification of these standards can benefit and should be utilized collectively by IT departments and legal departments, willing to take proactive measures in adopting document retention policies that may reduce the cost and liability for corporations. The initial adoption of a record retention policy conforming to these standards may prove to be complicated and time consuming considering every Corporation faces its own unique set of challenges. However, upon successfully adopting an adequate policy, the benefits will most certainly outweigh any initial burdens and expenses. Rule 34(b)(2)(B) is amended to reflect common practices of litigators in producing Electronically Stored Information (“ESI”). The rule provides that the documents must be produced within the time specified in the request or at a later “reasonable” time. This rule further emphasizes the need to produce documents on a “rolling basis” so the requesting party has adequate time to review the productions. Amendment to Rule 34(b)(2)(c) also discusses the frequently occurring confusion that arises when a producing party has multiple vague objections to a request, but still produces some of the requested information. This practice makes it difficult to determine whether any relevant and responsive information has been withheld on the basis of the objection. Accordingly, parties must now expressly state that certain documents have been withheld in furtherance of the objection. The committee notes suggest that the objecting party need not to include a detailed log of documents being withheld, rather a general description of documents being withheld should suffice. This amendment will not directly impact corporate counsels, but does emphasize the need to retain outside counsels who understand the technology and related FRCP guiding discovery exchanges in modern times. The amendments to Rule 37 are likely to have the most significant and immediate impact on litigation. The rule, in relevant part, codifies the common-law duty to preserve ESI when litigation is reasonably foreseeable. Previously, the rules provided that sanctions cannot be imposed due to ESI lost as a result of “routine, good faith operation of an electronic stored information system.” However, the amendment provides that the duty to preserve is unconditional and the parties must take reasonable steps to comply with such duty. If the parties fail to preserve ESI, and it cannot be restored or replaced through additional discovery (quite often ESI is stored in multiple locations) the court “may order measures no greater than necessary to cure the prejudice.” Furthermore, if the court finds that the party acted with intent to deprive another party of the information, the presumption is that the information sought was unfavorable. This rule does not impact or overrule the validity of an independent tort claim for spoliation permitted under state law. Michigan has not previously permitted sanctions due to spoliation; however, the courts have consistently stated that a trier of facts may support sanctions due to spoliation. This rule will most certainly impact corporations record retention policies, and will provide an additional factor to consider when adopting such policies. This added protection will prevent corporations from seeking dismissal of cases brought by individuals who may have failed to preserve all the necessary information relevant to their respective case. As of December 1, 2015, Federal Rules of Civil Procedure (“FCRP”) were amended primarily in response to challenges surrounding Electronic Discovery (“eDiscovery”). The amendments directly impacting eDiscovery include Rule 1, 16, 26, 34 and 37. The impact of these amendments was recently materialized in Gilead Siences v Merck, Docket No. 5:13-cv-04057-BLF (N.D. Cal. Jan. 13, 2016) where the judge denied Defendant’s Motion to Compel due to not meeting the proportionality requirement discussed later in this article. The amendment to rule 1 emphasizes the collective purpose of the FRCP by stating that the rules “should be construed, administered, and employed by the court and the parties to secure the just, speedy, and inexpensive determination of every action and proceeding.” (Emphasis added) Although, the amendment does not prescribe additional sanctions or specific methods to accomplish these goals, it does serve as a reminder to litigators that cooperation and compliance with these rules is highly recommended and discourages misuse and abuse of procedural tools to increase burden and cost. The amendment to Rule 16 specifically addresses eDiscovery by providing that “[t]he scheduling order may provide for disclosure, discovery, or preservation of electronically stored information…” Furthermore, the rule also reduced the time for issuing a scheduling order from 90 to 60 days in furtherance of the overall theme of these amendments to secure a just and speedy trial. The judge still maintains complete discretion to extend the time in issuing a scheduling order if in good faith determined that the complexity of the matter requires additional time. Nonetheless, the inclusion of the “or preservation” language indicates that the Federal Rules Committee (“Committee”) is focusing on making sure litigators understand their duty to preserve data and essentially reduce spoliation. The amendment to Rule 26(b)(1) codifies the heavily litigated cost/benefit analysis relative to the scope of discovery. It also eliminates the previously adopted vague and ambiguous language by providing for a more concrete analysis in determining the scope of discovery. The amendment in relevant part states that, “[p]arties may obtain discovery regarding any nonprivileged matter that is relevant to any party’s claim or defense and proportional to the needs of the case, considering the importance of the issue at stake in the action, the amount in controversy, the parties’ relative access to relevant information, the parties’ resources, the importance of the discovery in resolving the issues, and whether the burden or expense of the proposed discovery outweighs its likely benefit. Information within its scope of discovery needs not be admissible in evidence to be discoverable.” The codification of these standards can benefit and should be utilized collectively by IT departments and legal departments, willing to take proactive measures, in adopting document retention policies that may reduce the cost and liability for corporations. Lastly, Rule 26(d)(3) is amended to recognize the aforementioned duty to preserve by adding language directing parties to discuss the issues relative to preserving electronically stored information during the 26(f) conference. Rule 34(b)(2)(B) is amended to reflect common practices of litigators producing Electronically Stored Information (“ESI”). The rule provides that the documents must be produced within the time specified in the request or at a later “reasonable” time. This rule further emphasizes the need to produce documents on a “rolling basis” so the requesting party has adequate time to review the productions. Amendment to Rule 34(b)(2)(c) discusses the frequently occurring confusion that arises when a producing party has multiple vague objection to a request, but still produces some of the requested information. This practice makes it difficult to determine whether any relevant and responsive information has been withheld on the basis of the objection. Accordingly, parties must expressly state that certain documents have been withheld. The committee notes suggest that objecting party need not to include a detailed log of documents being withheld, rather a general description of documents being withheld should suffice. The amendments to Rule 37 are likely to have the most significant and immediate impact on litigation. The rule, in relevant part, codifies the common-law duty to preserve ESI when litigation is reasonably foreseeable. Previously, the rules provided that sanctions cannot be imposed due to ESI lost as a result of “routine, good faith operation of an electronic stored information system.” However, the amendment provides that the duty to preserve is unconditional and the parties must take reasonable steps to preserve relevant information. If the parties fail to preserve data, and it cannot be restored or replaced through additional discovery (quite often ESI is stored in multiple locations) the court “may order measures no greater than necessary to cure the prejudice.” Furthermore, if the court finds that the party acted with intent to deprive another party of the information, the presumption is that the information sought was unfavorable and therefore the court may instruct the jury accordingly or dismiss the action and enter a default. This rule does not impact or overrule the validity of an independent tort claim for spoliation if permitted under state law. Michigan has not previously permitted sanctions due to spoliation; however, the courts have consistently stated that a trier of facts may support sanctions due to spoliation. This added protection will prevent corporations from seeking dismissal of cases brought by individuals who may have failed to preserve all the necessary information relevant to the underlying suit. The Department of Justice (“DOJ”), Sedona Conference (“Sedona”), Michigan Court Rules (“MCR”) and The Federal Rules of Civil Procedure (“FRCP”) have collectively created a set of industry standards that must be followed or are mandatory depending upon the context of the underlying dispute. Stated otherwise, if a suit has been filed and discovery has commenced parties to the case are bound and must adhere to the standards I will be discussing. However, Governor Snyder, although being investigated by the Michigan Attorney General, Bill Scheutte, is releasing these emails voluntarily and does not necessarily have to comply with the aforementioned standards yet. Nonetheless, the duty to preserve electronic data (and non-electronic data) arises prior to an actual suit being commenced – any entity or individual has a duty to preserve the data when it can be reasonably anticipated that a legal suit may ensue. What this means for Governor Snyder and his Administration is that their duty to preserve and prevent any deletion or spoliation of emails/data most likely arose as soon as they realized that a possibility of water contamination existed. This standard has also been adopted and prescribed by the State of Michigan Records Management Services. Therefore, the Administration should have initiated a “Legal Hold” within the department with all custodians (relevant employees) to prevent any data from destruction which may occur due to standard protocols within their internal server or a regular cleaning of inbox by staff members. Lastly, as previously mentioned, it may not be sufficient just to produce emails from Governor Snyder’s inbox while omitting communication that may have been directed to other individuals within the Administration. Accordingly, for the public to fully understand and for the Administration to rebuild the trust of the people, it is vital that their attempts to be transparent are not disingenuous and include a comprehensive production of all pertinent emails/data. The metadata (data within data) of the emails Governor Snyder is introducing maybe of higher importance than the substance of the emails. The reason being metadata can help validate the background of each email including but not limited to the creation; date of receipt; individual sending the email; individuals copied or blind copied; and whether the file is an original or has been modified or edited to further substantiate the credibility of the substance within the body of an email. Depending upon the software or server used by the Administration, the proper method of preserving such emails prior to review and production should have included either a forensic image of the relevant staff and Governor Snyder’s computer or extracting what is called a PST file from Outlook or other software’s who support this format. Although it can be accomplished without misfeasance, to avoid controversy, the Administration should have acquired a third-party forensic expert to preserve and extract the relevant data prior to review and releasing these emails. Again, this speaks to the competency and credibility of Snyder’s staff to ensure that the public understand this is an honest act of transparency and not a politically motivated action conducted fraudulently to manipulate public opinion. Unfortunately, if the Administration does decide not to produce or discuss the metadata they may rely upon policy adopted by the state administrative board (prior to Governor Snyder being elected) that allows for destruction of metadata – with a possible exception of when a notice is received regarding the possibility of litigation, audit or investigation. See http://www.michigan.gov/documents/dmb/rms_gs8_metadata_333080_7.pdf ; http://www.michigan.gov/documents/dmb/rms_metadata_333081_7.pdf . We must also consider the methodology utilized in searching for these “Flint Water Crisis” related emails. The Administration needs to ensure the public that a comprehensive search was conducted and also describe the tools, methods and individuals involved in conducting this search. For example, if an intern was tasked to conduct a search in Governor Snyder’s email with terms such as “Flint”, “Water”, “Water Crisis” dating back to 2014, we are most likely missing the bulk of relevant data. 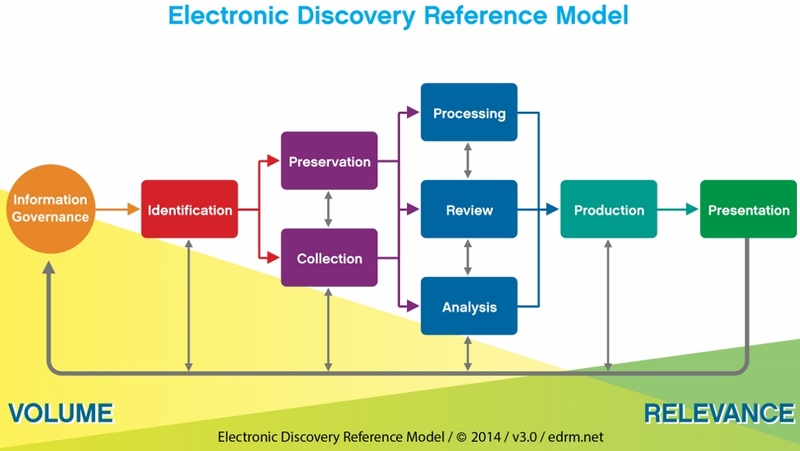 Although not perfect, nonetheless, eDiscovery tools and technology has provided us with better solutions to the challenges of conducting searches to extract relevant data. I have briefly reviewed the policies for record retention as provided by the Michigan Department of Technology and Management and Budget (“DTMB”). Their email retention guidance does provide that, “Note: agencies may have policies that prohibit the use of personal e-mail.” See http://www.michigan.gov/documents/E-Mail_Retention_Guidelines_126565_7.pdf. I am not certain and was unable to locate the specific policy that pertains to the Governor and his staff, which I am hoping will be addressed by the Administration soon. I was also unable to locate any discussion regarding tools and methodology adopted in searching and extracting data. I would like to conclude by warning those reading this piece and developing their thoughts on what has or will be transpiring, majority of what I have stated pertains to litigation in our courts and not to a governor voluntarily releasing their emails. Also, the Administration may have followed the rules and procedure discussed above, so please refrain from considering this article as conclusive evidence or binding authority regarding the Administrations conduct. *please excuse any grammatical errors within due to lack of time.